Eliquid Gourmandise is a collection of the 7 Pêchés capitaux: Banana, Milk jam, Whipped cream and Shortbread. No question to refuse a little sin . 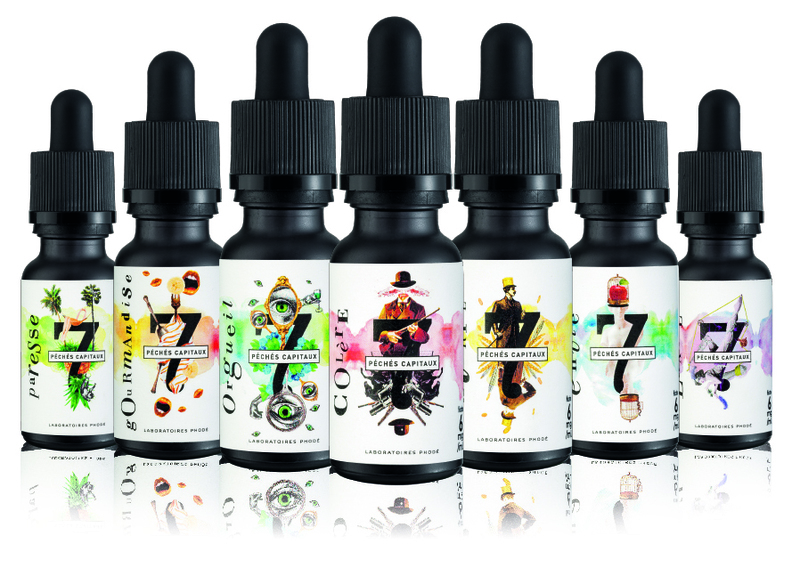 This collection of 7 pêché capitaux is a range of premium e-liquids, designed by the French brand Phodé sense. Discover 7 unique and innovative e-liquids created and developed from fine blends. Composed especially with natural aromas, each liquid has been thought in detaill to surprise and let luxury take you away to the seventh heaven of laziness and pure gourmet. Each e-liquid is diacetyle free, parabene free, ambrox free . For the fabrication os these e-liquids, the laboratory Phodé certifies ISO 22000 only utilises ingredients pharmaceutically qualified to the highest and purest degree. Glycol propylene & vegetable glycerine have the property to create vapour. The natural aromas bring the taste. The Nicotine is in the form of liquid nicotine: it helps getting the hit (throat contraction when the vapour passes). Phodé sense e-liquids are compatible with all the brands and models of e-cigs and e-pipes. For an optimum preservation of the flavours, keep your Phodé sense juices protected from light, in a dry place, and at room temperature (around 20°C). Shake well before use and do not hesitate to ventilate (open the plug) your Phodé sense e-liquid for a few days before using it for a better restitution of the flavours.